Blueberry Seed Oil 100% Pure Refined Pharmaceutical Grade is Refined, which means it’s going to have no odor and a much lighter color. The blueberry plant is a perennial within the genus Vaccinium, which also includes cranberries and bilberries. Native to North America, it can grow up to 13 feet tall, though it often appears as a shorter shrub, with leaves about three inches long and 1.5 inhces wide. Flowers are bell-shaped, and may be white, pale pink, red, or greenish. The prize of the plant is the berries, which are about a half-inch in diameter with a flared crown at the end. A protective coating called an “epicuticular wax” covers them, and they may ripen anytime between May and August, depending on growing conditions. One of the main reasons the skin ages is because of environmental stressors, diet, and more. Blueberries are a great source of antioxidants to help keep your skin looking youthful and glowing. 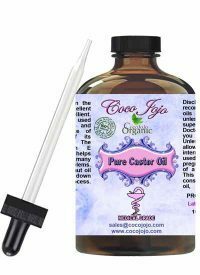 This oil is light and greaseless, and absorbs quickly into skin, imparting a pleasant, sweet aroma. 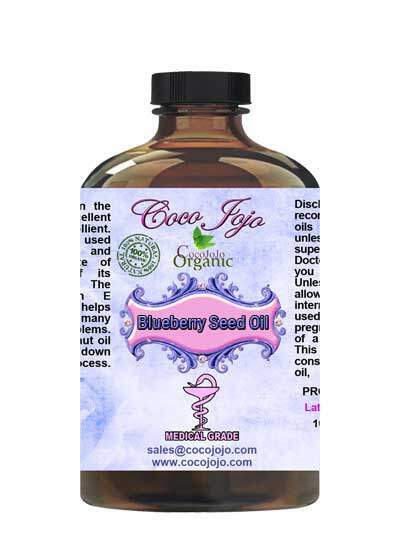 Blueberry seed oil is perfect for sensitive skin as it helps the skin look revived.